Boy, do I love drawing nature. I admire folks who can draw mechanical things and buildings and all of that and still give it dynamic life, but try as I might, I am not one of those people. 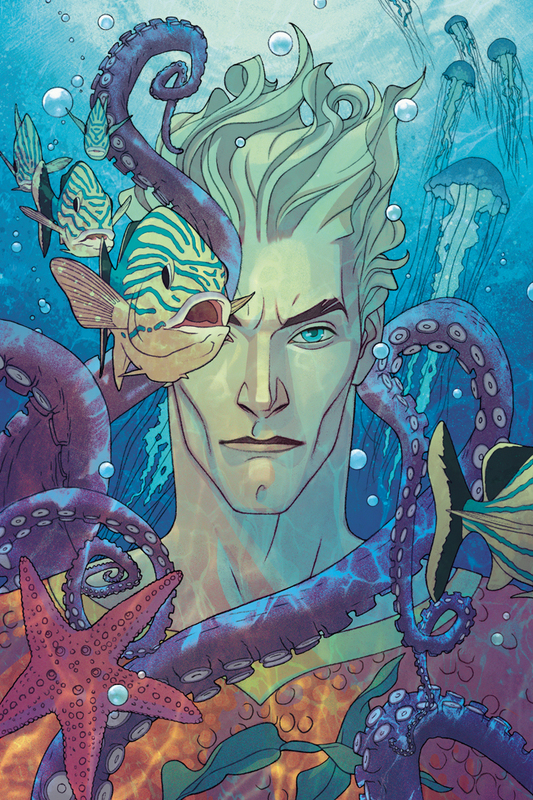 So, AQUAMAN feels like a good fit for me. I can mostly let my rulers keep collecting dust. It turns out this will be the variant cover for issue #1, with yesterday's post being #2. #3 is currently on my drawing board and is being extremely uncooperative.